Singing the songs or reciting the sermon? You may have noticed at the end of church on a Sunday morning people will tend to go out singing the songs rather than reciting the sermon. One Sunday a few years ago, the BBC broadcast a service from the famous Keswick Convention in the English Lake District. The music was led by modern hymn-writer, Stuart Townend, and the service included several of his songs, including In Christ Alone. Before leading the congregation in singing that, Stuart spoke for about one minute on the significance of songs in worship, highlighting their teaching function and their capacity to allow us to express our feelings and emotions to God who in turn interacts with us. He raised a few chuckles when he suggested that people are more likely to leave church singing the songs than reciting the sermon. 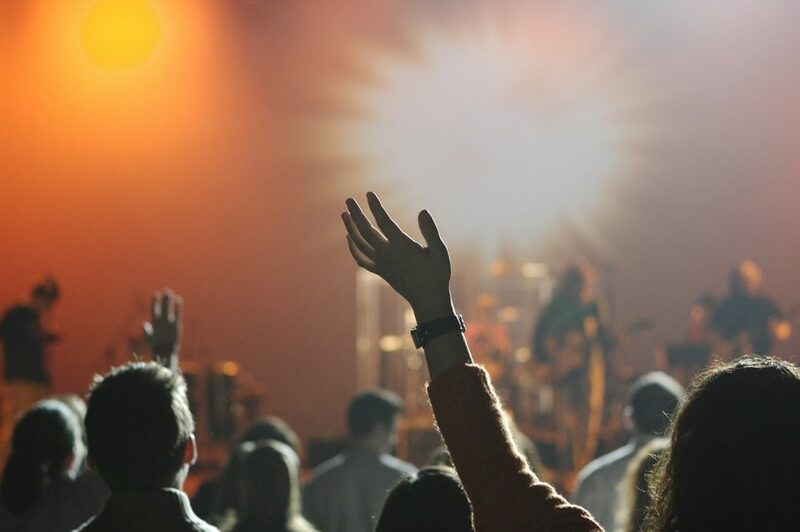 The point is not that sermons should be done away with (the Keswick Convention would be an odd place to suggest that); it’s an observation about the power of music. Here are a few reflections on this – some for preachers and some for music directors and worship leaders. But that does not mean that we do away with sermons). However there is a challenge to us to do what we can to make our sermons more memorable. Which in turn does not mean you have to arrive in the pulpit having parachuted through the ceiling or driven up the aisle in a Formula 1 racing car; nor does it require you to replace the pulpit with a trampoline. All of these would make the occasion memorable, but possibly not for the right reasons. It may involve a judicious and creative use of some kind of visuals on the screen. If you are going to use Powerpoint or the like, try to make sure that it supports your message rather than distracting from it. Why not make use of a catch phrase or a tag line that accurately reflects the message of the passage you are preaching? You can repeat it several times during your message. Consider using alliteration or parallelism to outline the main sub-points of your message. For example – Preaching sometimes involves pulpits; Preaching should never include plagiarism; Preaching should always involve power. Ask the Holy Spirit to use the written word (Bible) to reveal the Incarnate Word (Jesus). Ask him to bring a word for the moment to the listeners’ lives. Ask him to open listeners’ hearts. Realise the powerful influence you have! Music sticks with people. How many times do you go through a day with a tune buzzing around your head? Since music is so powerful, make sure you get people to sing songs that are actually worth remembering. It works two ways. Silly, superficial words, set to a catchy tune, stick. Sometimes your dilemma will be that you have to ditch a song whose melody you really like, because its lyrics are not good enough. If some things are worth remembering, others are not. On the same lines, if you are a song writer, don’t waste your time writing nonsense! Give us things that we need to remember; give us things that will give wings to our spiritual lives. Remember the difference between songs that work really well at a rock concert, but don’t cut it in corporate worship. Corporate worship means the people sing, not listen. Writers – you need to write tunes that ordinary, not-terribly-musical people can sing and will remember. Don’t forget that while you can probably pick up a new melody after you have heard it once, some people will need to hear it, be taught it and practice it multiple times before it sticks with them. Consider working with the preacher to choose songs that will support the theme of what is preached. Even if it doesn’t work for every song in the service, work hard to make sure that the final song will reinforce what has just been preached. For example, if the preaching has focussed the grace and love of the father in the story of the Prodigal Son, why not finish with something like How deep the Father’s Love for us? If you are a writer, why not set yourself the challenge of writing new material to reflect a series that is being preached in your church. It will stretch your writing skills and it will provide a great resource to your church (and possibly the church wider afield).